This volume of Garth Ennis' powerful War Stories series features tales ripped from the pages of history itself delivering a horrifying and riveting look at some of the most brutal battles throughout time. This essential tome includes three stories of battle written by Ennis and illustrated by Thomas Aria including: "Castles in the Sky": A horrifying tale of early bomber pilots and their incredibly difficult missions during wartime. Thrust into the sky with a new team of soldiers these brave men learn quickly the horrors of aerial combat over the skies of Germany. With art by Matt Martin and Keith Burns; "Children of Israel": In 1973, the Golan Heights was the home to the most brutal tank warfare in history. As a young nation of Israel faced the imposing forces of the Syrian army, the true mettle of these soldiers would be tested as never before. With art by Tomas Aira. "The Last German Winter": February 1945: as the Soviet war machine crashes into eastern Germany on a tidal wave of carnage and revenge, a mother and her children join the flood of refugees struggling to stay ahead of the invaders. But the realities of battle are dreadful to behold, and what the little family find waiting for them is deadlier than any mythical dragon. Worse still, the strange figures who appear from the deep woods are far from being knights in shining armour - and in these dark times, the price of salvation may just be too much to bear. With art by Tomas Aira. 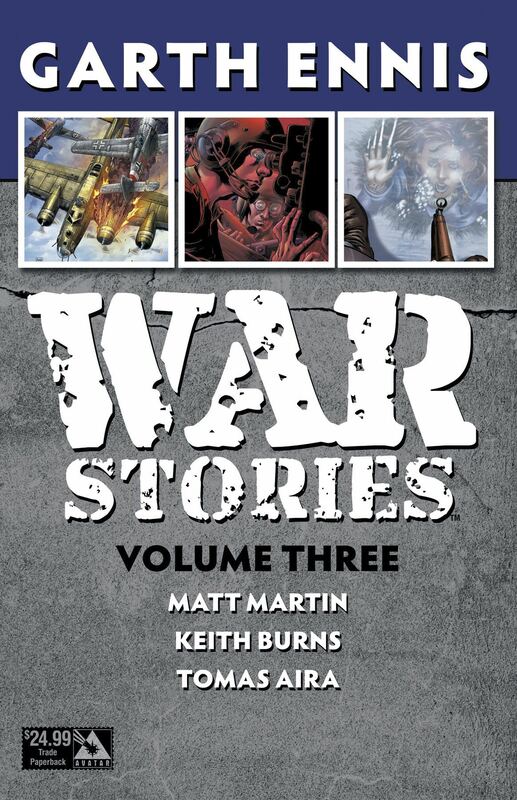 This volume collects War Stories #1-9 of the ongoing comic book series.